1) Never pack lightly thinking there will be a Walmart down the road. Sometimes, there’s not a Walmart or any grocery store with the familiar items you need. You may end up eating microwaved burritos simply because there are no other options. 2) Traveling west is great for your body clock; traveling east is crummy. I loved waking up at 6 am and having some quiet time in the morning. 4) Google Maps can get you almost anywhere, except when it randomly takes you to a nonexistent Walmart up a twisty-turvy road at 11 pm at night. Also, it’s a good idea to ask the RV park about the best routes. Our park in Sedona warned us NOT to take the route Google would have picked, which was helpful to know. 5) You need correct change for some Oklahoma toll booths (your laundry quarters can come in handy for this purpose, if you’ve remembered to pack those). It cost us over $22 to get out of stinking Oklahoma because we had to exit for gas and for food, and we weren’t sure if we had to pay to get back on the highway. 6) You CAN go to the bathroom in a vault toilet, no matter how gross you think it is. Trust me, if I can, you can, too. 7) You should be thankful for every free shower you get to take. Pay $2.00 for a seven-minute shower, and you’ll learn to appreciate those free ones. You can’t whine too much about this, though, when you see the devastating effects of the drought in California. 8) Don’t over inflate your tires, even after you’ve had a blow out due to low tire pressure. 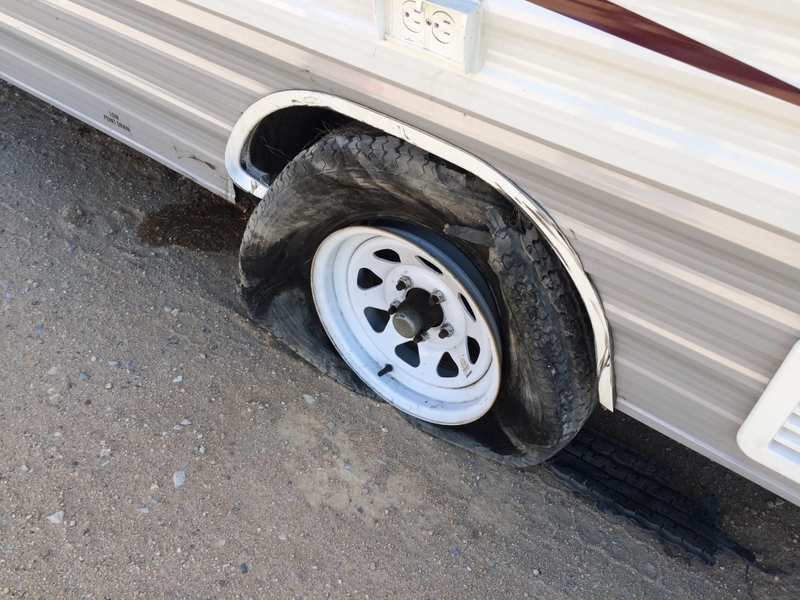 Over-inflated tires can also pop, especially when they’re hot from driving across the Mojave Desert. 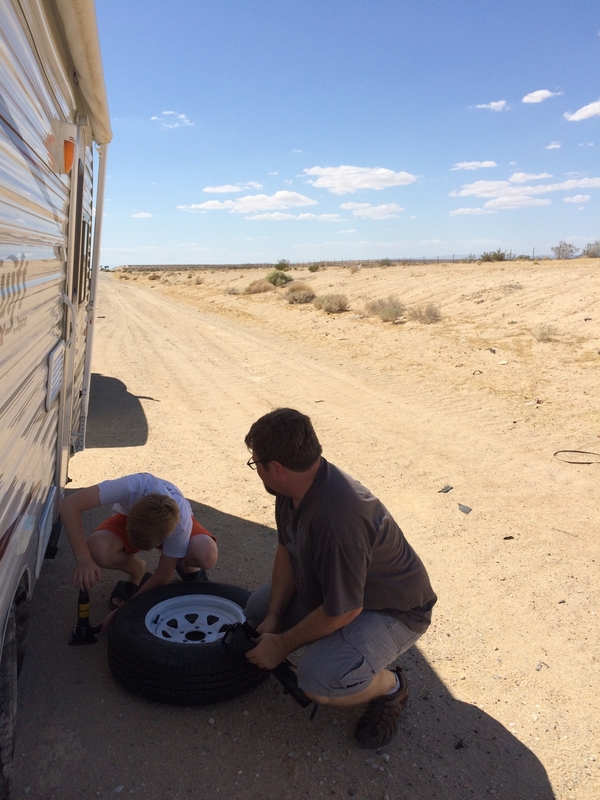 9) Related lesson: You can change a tire in the Mojave desert without dying from heat stroke. The big, sandy shoulder was actually a great place to change a tire. Much better than a 2-lane mountain road. And luckily, the blown tire was on the shady side. 11) It can be difficult to cook proper meals when your kitchen is about the size of a child’s play kitchen and when your refrigerator quits running on propane and when you are camping 30-minutes from the nearest grocery store. Sometimes, your family can eat granola bars for dinner and survive. 12) Cooking outside wins the day. We threw together these foil packets one night, and they were awesome. 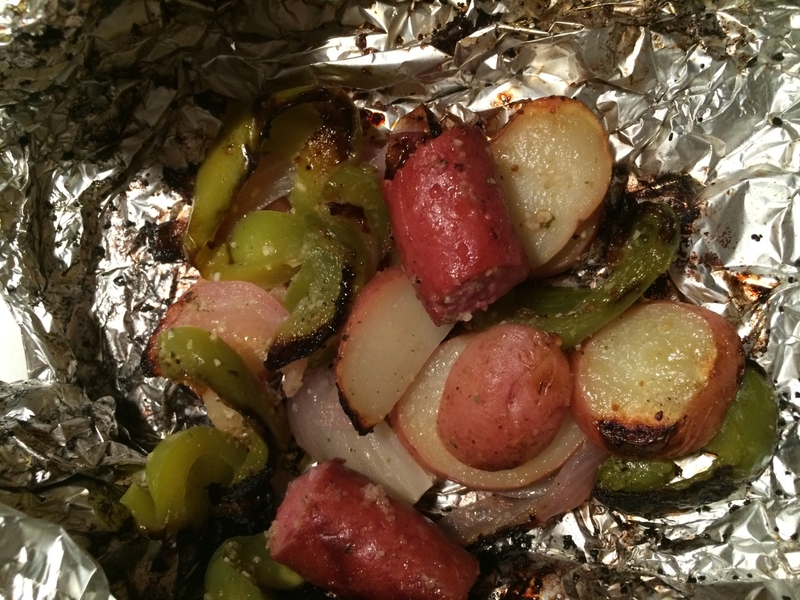 Smoked sausage, potatoes, green peppers, and onions. 13) Paying $4 for a bag of ice to keep a $3 carton of milk from spoiling while you’re on the road really doesn’t make sense. It took me a few days to learn this. 14) When campgrounds say they have WiFi, take that with a grain of salt. If the campgrounds are in a rural area, they are likely using satellite internet, and even the best providers can’t handle an RV park full of users. 15) You and your children can live without WiFi and even without cell phone reception. It is possible, barely. 16) Don’t let money deter you from adventures. 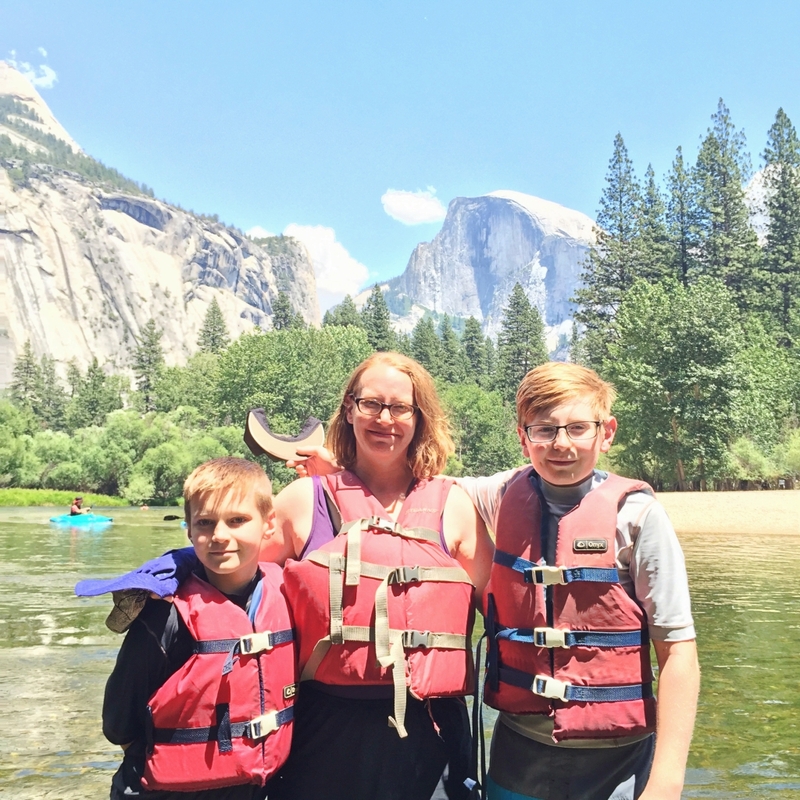 We would have missed out on floating the Merced River in Yosemite National Park if we had based the decision on money. 17) It’s ok to go on a huge trip like this with BIG expectations and then admit that not every single moment was perfect. Your family may fuss and fight or you may be too hot or tired to do a planned activity, but you can rise above and still make plenty of happy memories. You can’t expect the children to behave perfectly, especially for 25 days, just because you are on vacation. Being tired and out of routine can make even the best of us grumpy. 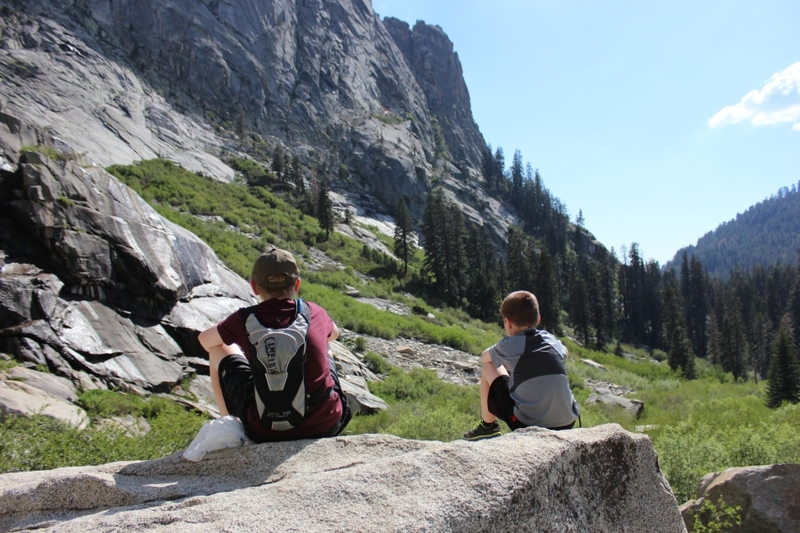 Plus, I’d rather have grumpy children in Yosemite than in my living room. 18) You can meet the nicest people in RV parks. While I don’t normally consider myself a “people person” since I’m a bit of an introvert, I found it easy to talk to other RVers. Maybe it’s because we share the same crazy passion. One couple had sold their house and most of their belongings and was in the process of moving 2000 miles away to manage a stranger’s farm. 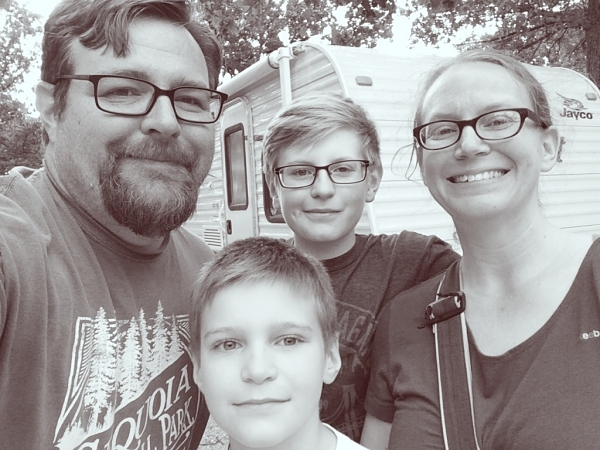 Another family had flown over from Germany to RV across our great nation with their toddlers (bless them!). Saying “good morning” to folks as I walked to the shower in my pajamas, helping a neighbor back in their RV after they almost took off their roof with a tree limb, and visiting with other families at the pool are all part of the RV experience. 19) You can’t understand the scope of our nation until you drive it and see it. This trip truly helped our family understand all of those geographic features we learned about in social studies. We also appreciated the diverse cultures we encountered that were different from our little part of the world. All of this helps to open our eyes to the vastness of the United States, while also helping to make it all part of our community. 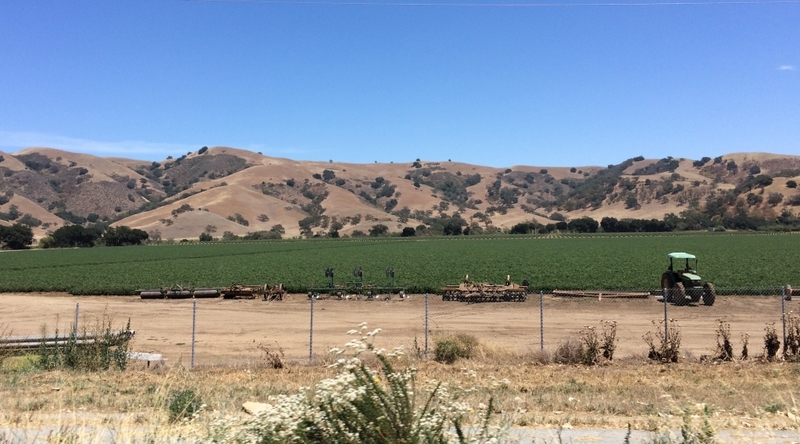 For example, seeing the agricultural valley of California gave us more sympathy for the folks there when we learned of a wildfire that destroyed a small town nearby. 20) It’s ok not to see and do it all. You just can’t. We jokingly called this trip the Southwest Sampler Platter, knowing we’d only get to see a small part of each of the amazing places we were visiting. The good thing is that we’ve figured out which places we need to make a return trip to (Sedona and San Francisco are at the top of the list). 21) The journey is part of the adventure. 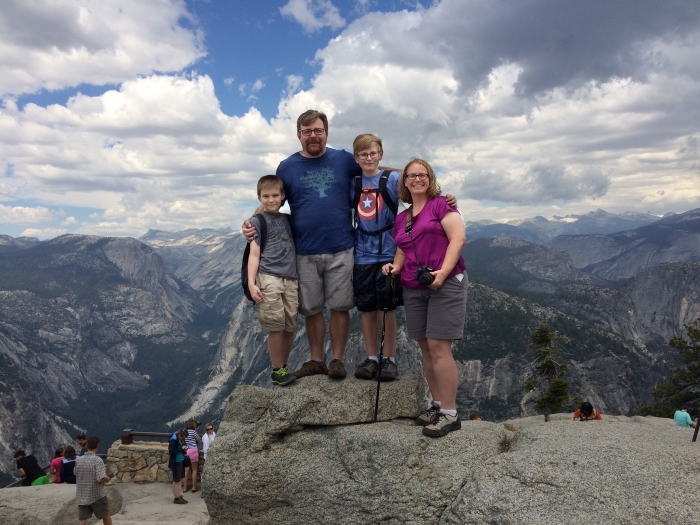 Yes, we were going to Yosemite, but we fully embraced the whole journey of getting there. We stopped at lots of cool places (like Santa Fe and Sedona), but we also enjoyed stopping at the funny roadside attractions. And, most importantly, look out the window. I put down my phone and my book and made sure to enjoy the view. 22) You don’t need a big RV to do a big trip. Our travel trailer, Birdy, is only 18 feet long and has no slides. However, we had just enough room for our family of 4 to survive. Sure, it was crowded when we were all trying to get dressed in the morning, but otherwise, we actually enjoyed the coziness (some of us, anyways). 23) Your children can surprise and amaze you every.single.day. They can ride in the back of the car for eight hours without fighting (unbelievable! 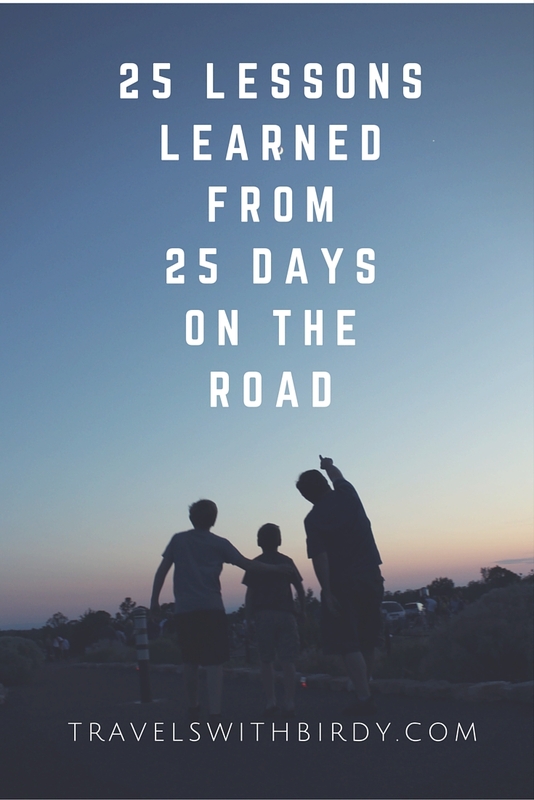 ), they can show true amazement for natural wonders, and they can learn to embrace the challenge of life on the road. 24) You will create memories that will last a lifetime. I hope this trip has given our boys a grand sense of adventure and an appreciation for the beauty of nature. But, I hope they will cherish the small memories, like playing Farkle by lantern light during a power outage in Sedona. Turns out, it was all fine. We did it! When people ask me about our trip, sometimes I start by saying, “The best part of it was that we did it!” We could load up our kids in a 150-square foot travel trailer and drive over 5,000 miles across this great nation, and survive. If we can do that, what else is possible? Posted in: All RV Things Considered, Places We've Explored. Tags: Birdy Goes West, Tips. Great list, love the idea that you’re not always going to perfect, #17, I have had those moments…. I felt like I had to fess up to that! On social media, people tend to post the positive, which sometimes makes others feel inadequate. I want people to know it can still be good, even with some bickering, pouting, and crying (umm, not sure whether I’m describing the kids there or me). Great list! I’ve loved reading about your trip; it makes me wish our out west trip weren’t still a year and a half away. I’m jealous of your tiny, cozy camper. I was just looking at rv websites for the gazillionth time last night, thinking surely there was some secret RV out there approximately the size of my minivan that would sleep all 6 of us (and our 3 dogs) in comfort. right? oh, I keep meaning to ask you, out of curiosity, why you don’t use the shower in your trailer when you have hookups? Thanks for the list, we could have made something like that about 25 years ago when we did the cross-country trip. 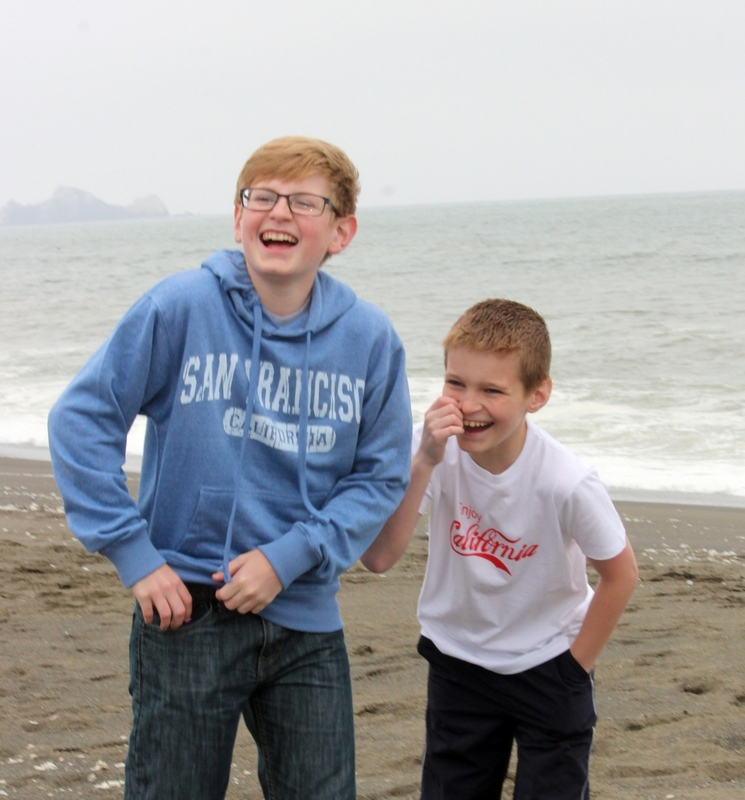 All of our kids (now a college professor, a naval officer and a social worker) all have the sense of adventure that we instilled in them from the many trips (across Europe in an English caravan) and fearlessly explore the world! Congratulations on the trip and many more of them in the future. We have enjoyed reading your blogs and facebook posts, keep them coming! Thank you for your kind words! I have had so much fun revisiting the trip to write about it. 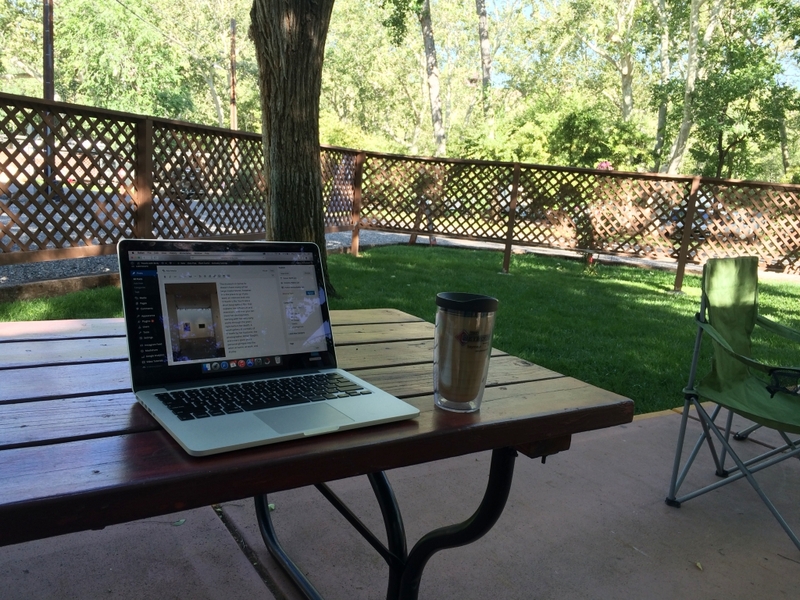 If we can’t be traveling, writing about it is the next best thing! I’m so glad to hear that your children were inspired from your trips–it is encouraging to hear that. 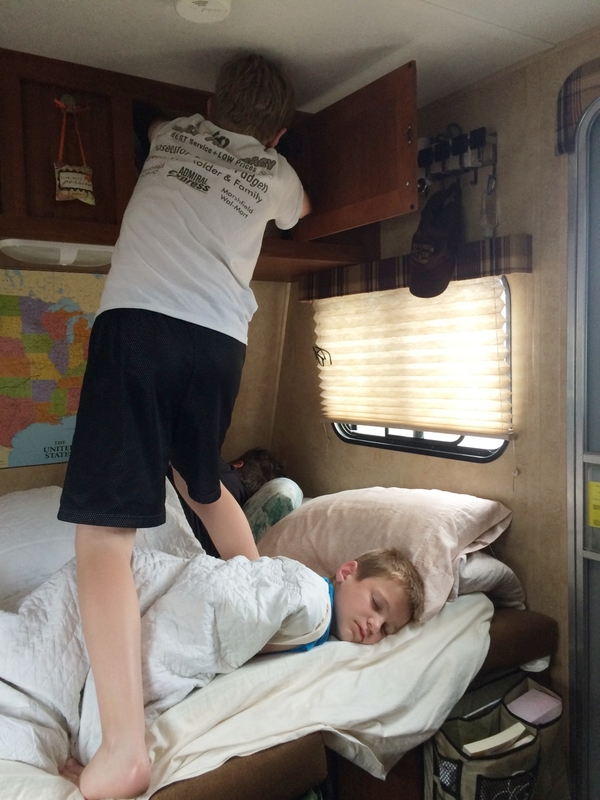 Right now, my youngest son thinks RVing is the worst! That European trip sounds amazing! What a delightful way to explore. Thank you for commenting!